A sensational opportunity on lovely quiet Meaden St, this unassuming home is bursting with renovation/redevelopment potential in a pocket much loved for its strolling proximity to Ashburton Village cafes, Alamein trains, Ashburton Pool and Watson Park. 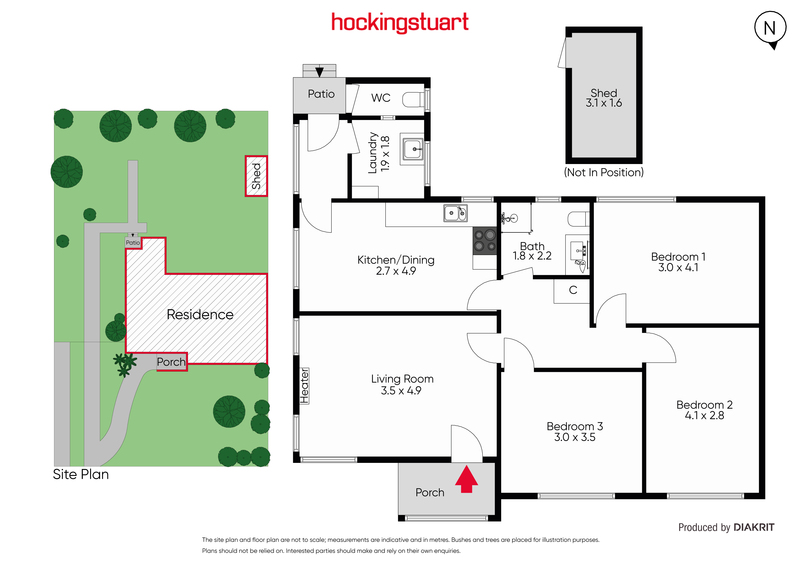 The modest floorplan is neat and tidy throughout 3 spacious bedrooms, lounge (heater), generous kitchen/meals and bright bathroom. For those looking to make their mark in a prime Ashburton setting, this home is a blank canvas crying out for a little imagination to bring it into the 21st century. There’s boundless scope to style-up, go up, extend to the rear or widen the footprint (STCA) across the level allotment of 608 sqm (approx.). On the flip side, start afresh and create your own vision for the future on beautifully positioned land in easy reach of popular Solway Primary School, prestigious private schools, Gardiner’s Creek parklands, buses and CityLink access. Includes ample off-street parking, garden shed, separate laundry and 2nd external toilet.